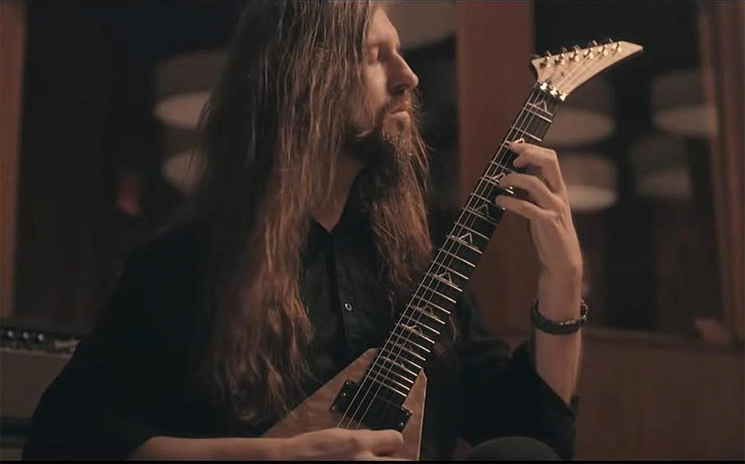 Oli Herbert, lead guitarist of Massachusetts metalcore act All That Remains, has died. While his cause of death has not yet been publicly revealed, his bandmates confirmed his passing this morning. Herbert was 44 years old. We were devastated to learn that Oli Herbert, our friend, guitar player, and founding member of All That Remains, has passed away. No further details are available at this time. The band and family request that you please respect their privacy and remember Oli by celebrating the great music he made. The band, which Herbert co-founded with vocalist of Phil Labonte (then of Shadows Fall) in 1998, are gearing up to release their ninth studio album, Victim of the New Disease, on November 9. As of yet, there's no indication on how Herbert's passing will affect their upcoming tour, which is set to begin on December 1. We're told police were dispatched to Oli's Stafford Springs home Tuesday afternoon after someone reported him missing. Cops searched the area and found Oli in a nearby pond.